GENERAL Planning permission has been passed with conditions in June 2016 for change of use to a residential dwelling. All the plans can be viewed on North Lincolnshire Council Planning searching with reference PA/2016/770. 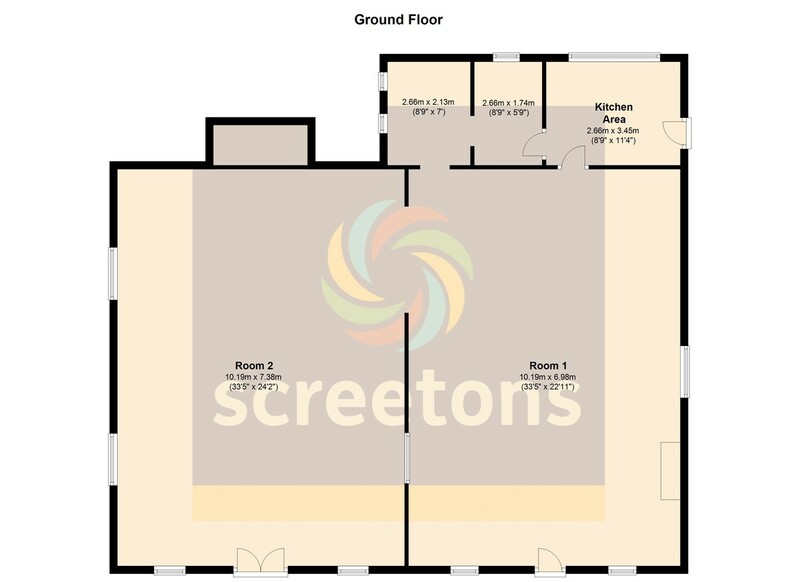 In 2013 the property also had planning permission passed for change of use to a recording studio with auxillary living accommodation (reference PA/2013/1008) so the property offers great potential for different uses subject to any further planning permissions. The Chapel is situated on the corner of Mill Road and Eastoft Road and is within walking distance of local facilities. There is a garden area to the front with access to the right leading to the side garden and a pathway continues to the rear of the chapel and to the driveway.The graveyard to the left is also included in the sale. The driveway access is off Eastoft Road. The following are the measurements of the rooms in the building. ROOM 1 33' 5" x 22' 10" (10.19m x 6.98m) Located in the right hand side of the building. With front timber access door and original feature tall arched windows, some with coloured panes. ROOM 2 33' 5" x 24' 2" (10.19m x 7.38m) Located in the left hand side of the building. With timber double access doors and feature tall arched windows, some with coloured panes. ROOM 8' 8" x 6' 11" (2.66m x 2.13m) Two side facing windows. ROOM 8' 8" x 5' 8" (2.66m x 1.74m) Rear facing window. KITCHEN AREA 11' 3" x 8' 8" (3.43m x 2.66m) One rear facing window and side entrance door.